SINCE THE FIRST TIME I BECAME FAMILIAR WITH THIS MAGICAL FRAGRANCE, I BUY NO OTHER BRAND AND, IF I DO, IT'S ZENO THAT IS, BY FAR, MY FAVORITE. 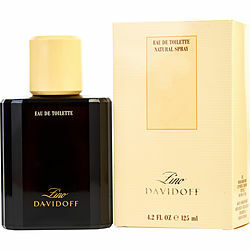 IT HAS AN UNUSUAL UNDERTONE THAT IS RECOGNIZABLE TO EVERYONE, AND IT ASSOCIATES THE BEAUTIFUL FRAGRANCE WITH YOU. WHEN I WEAR IT, I FEE CIOFIDENT AND FEMININE (I AM A WOMAN. AND CANNOT FIND MANY LADIES' FRAGRANCES THAT I LIKE SO I WEAR A MAN'S COLOGNE... AND GET MANY, MANY COMPLIMENTS. IT'S THE BEST OF THE BEST FOR ME. PLEASE DON'T DISCONTINUE THIS PRODUCT. Unlike no other. Received countless compliments of how good I smell. I have been wearing Zino for 26 years and I am 43 years old now and there is no way that I will stop loving it. Hopefully it’s around forever! This is the best cologne I ever smelled I absolutely love it! This fragrance is old as hell but women seem to love it. I remember wearing this 30 years ago. Sometimes I love it and sometimes it smells nasty - almost like dust and I'm not sure why. It's definitely unique and you won't mistake it for anything else. Giving it 5 stars - a real classic.